This is F1Minute - Red Bull lock out the front row in Suzuka qualifying. The first twenty minutes of qualifying for the Japanese Grand Prix were filled with drivers locking up and getting in each other’s way. Felipe Massa looked fast, though, heading straight to P1 for the majority of the session. Michael Schumacher was sitting firmly in the drop zone and had to give it everything he had to improve, which dropped Bruno Senna down. 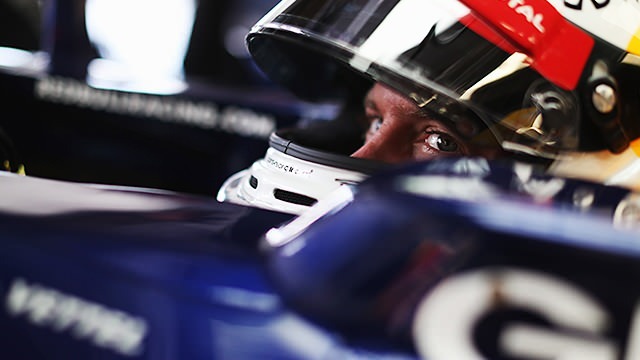 The Williams driver complained that he’d been held up by Jean-Éric Vergne, which was upheld by the stewards and resulted in a three place grid drop for the Toro Rosso. The second session was quieter, Massa, Paul di Resta and Schumacher all looked like they could squeeze into the top ten, but other drivers moved ahead of them, leaving them knocked out in Q2. The final top ten shoot out saw Sebastian Vettel go fastest with a fast time that was locked in after Kimi Räikkönen lost control of his Lotus and went off into the gravel. The resulting yellow flags scuppered some other laps, leaving Vettel with pole and Mark Webber with P2. Button qualified third but drops five gearbox-related places to move Kamui Kobayashi forward - a great spot for his home race.